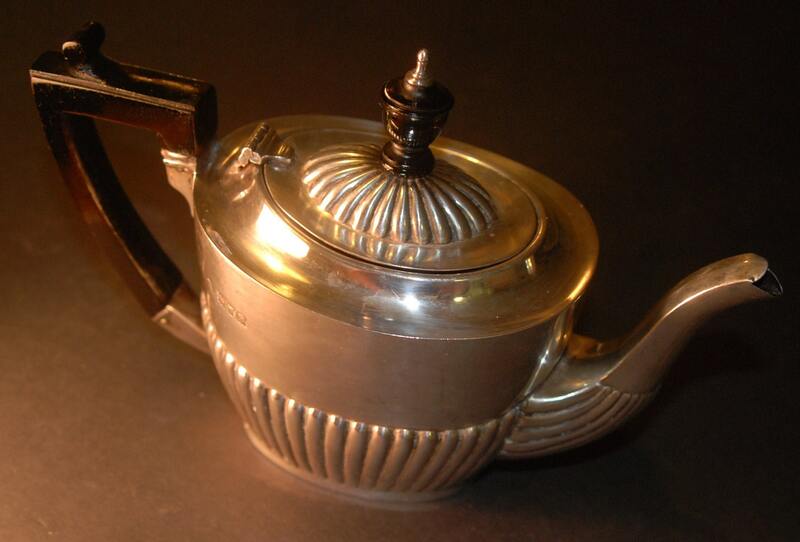 Very nice little Edwardian London sterling silver teapot has been modelled in the Queen Anne style onto a colet foot. in excellent condition consistent with age. No damage, or repairs. Weight: 224.5 g. Total length is 8.25" (205 mm) from spout to handle and a little over 5.5" tall. It will comfortably hold 2 cups or 16 US fluid ounces. 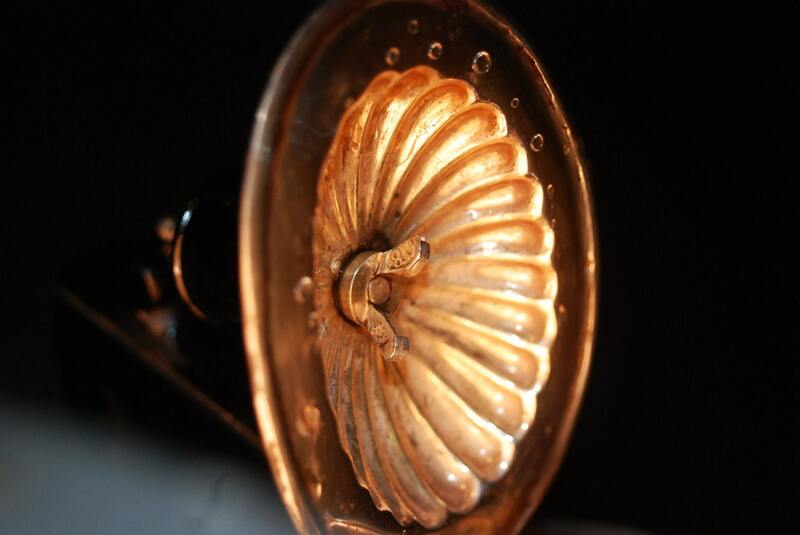 The lower portion of this fine teapot is embellished with fluted decoration. 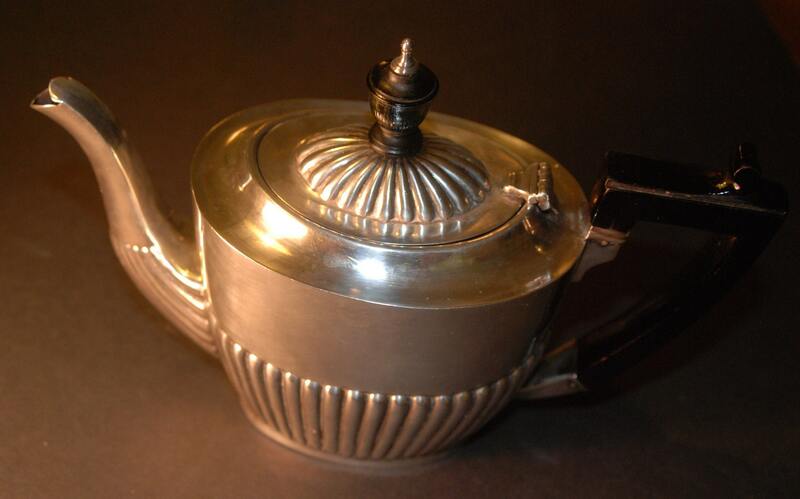 The Edwardian teapot is fitted with a flush hinged cover, which also features fluted decoration. 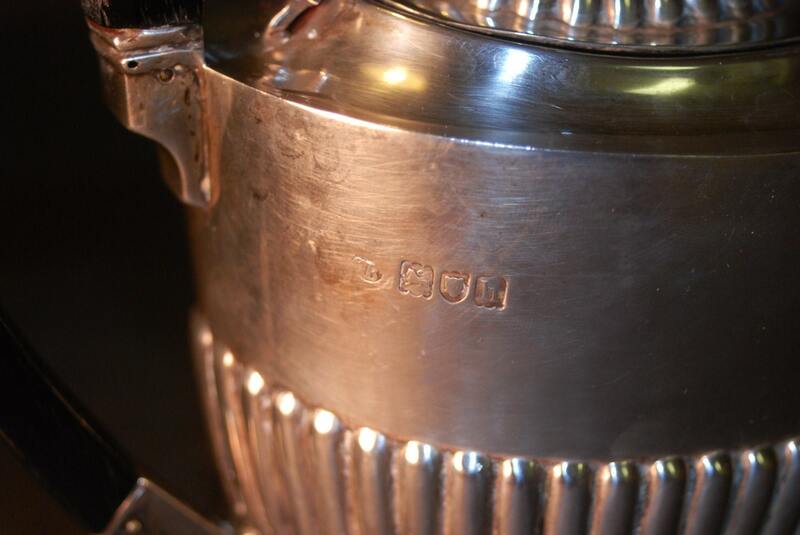 Fully hallmarked with CB in cartouche on outer portion and on the sterling nut (more distinct) which holds the finial affixed to the lid. Lion passant also stamped in both locations. Stamped for London and 1903 on outer portion. Unlined. Strainer built in. Handle seems strong with no apparent damage, dings or deep scractches. Very nice, hard to find piece. 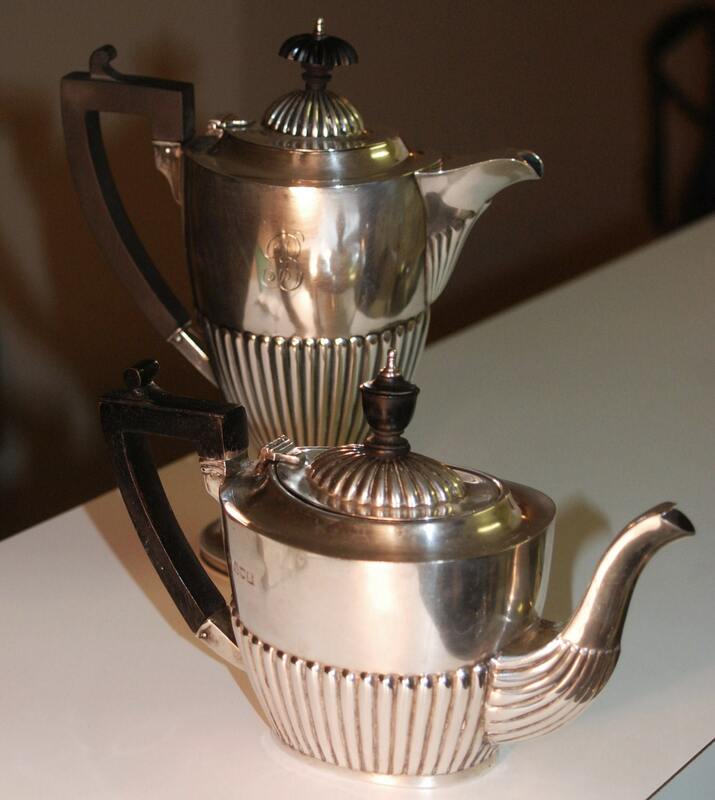 Coffee pot is available for sale separately.